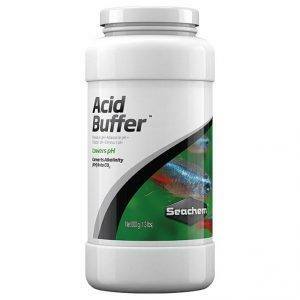 seachem Acid Buffer ™ is a non–phosphate buffer to lower pH and buffer with Alkaline Buffer™. 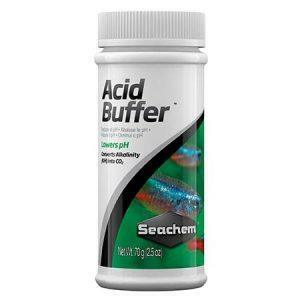 Both buffers are designed for the planted aquarium or for very hard water where phosphate buffers may pose an algae or cloudiness problem. 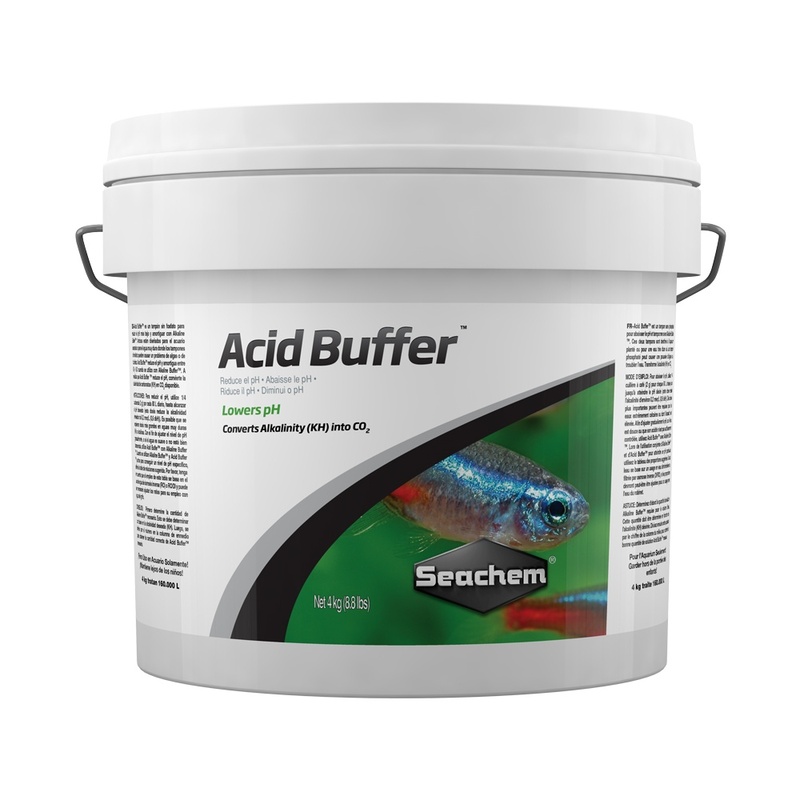 Acid Buffer™ lowers pH and buffers between 6.0 and 8.0 when used with Alkaline Buffer™. As Acid Buffer™ lowers pH it converts carbonate alkalinity (KH) into available CO2.